Lecturers of Wa Polytechnic have threatened to embark on a sit-down strike from tomorrow [Monday] in protest of the appointment of the school’s rector, Professor Emmanuel Marfo-Owusu. The workers, on Saturday, boycotted an induction ceremony for the Rector, whom they have accused of financial malfeasance, among other things. The agitated workers, comprising the Polytechnic Teachers Association, the Polytechnic Administrators Association and the Polytechnic Workers’ Association of the Wa Polytechnic, staged a boycott after the Governing Council of the school reportedly ignored their request for the new Rector to step aside until investigations into the allegations are completed. The Local Chairman of the Wa Polytechnic Teachers Association of Ghana, Bamie Mubashir said the governing Council ignored their petition calling for a boycott of the induction ceremony in order to avoid embarrassment. Mr Mubashir revealed that their members will embark on a strike from next week Monday to drum home their demands. The lecturers had earlier called on the Governing Council of the institution to cancel the induction ceremony for the new Rector. Mr. Mubashir alleged that Professor Marfo-Owusu had procured a vehicle for himself at the cost of over five hundred thousand Ghana cedis without the approval of the Governing Council and hence, should not be inducted. He further cited other financial irregularities as the basis for their call. “The Unions are raising red flags against the induction of the Rector. We all know that the induction is an inaugural ceremony for the Rector. He has been in office for one year now. This coming Saturday is the day that Council has scheduled to induct him, but we think it is inappropriate to induct him when there are allegations of financial malfeasance- massive financial fraud against him,” Mr. Mubashir said. 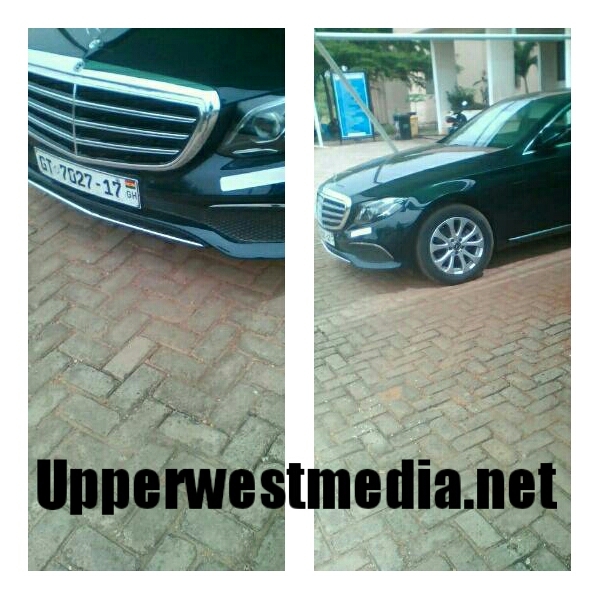 The Institution has been in disunion over claims Professor Owusu-Marfo secured A Benz Car Valued at Ghc500,000 with the schools Money. March 26, 2018 in Local News.